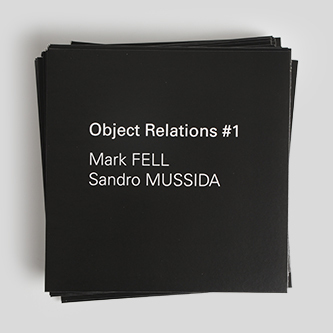 Object Relations is a very promising new 7" label curated by Mark Fell focusing on collaborations between diverse artistic practices. 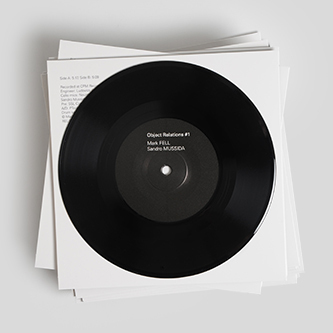 Recorded in Milan, 2014, the label's inaugural edition establishes its remit in a unique combination of Fell's crafty Linndrum programming with the adroit, keening cello improvisation of trained cellist and composer Sandro Mussida, following their meeting and performance in Tuscany at the International Encounters in Sound event. 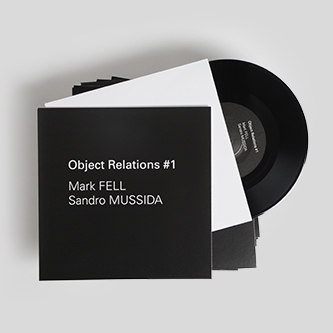 On both sides, Fell's elliptical microtemporal rhythm arrangements are matched and coloured with compelling streaks and wooden strikes from Mussida in a tussle of crooked time signatures and rhythmelodic cadence resolving and dispersing at oblique yet somehow elegant angles. 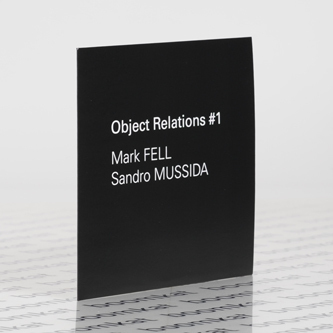 The first results of this collaboration sees a departure from the purely electronic asceticism of Fell's widely known work for Editions Mego or Raster Noton, and perhaps best compared with the minimalist, downtown early '80s experiments of Peter Zummo and Arthur Russell, albeit effectively shorn of that duo's more melodic affectations. 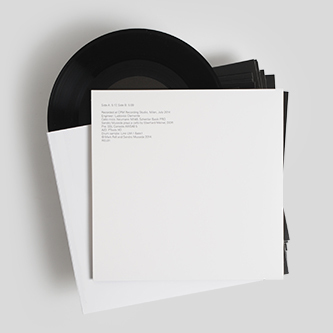 That said, we've never heard anything quite like these pieces, and we'd wager they're gonna become very collectible. Well recommended.